Starting a business is no easy feat – I know, I’ve done it. Regardless of what your business does, it involves financial investment, hard work and time, and a little bit of luck. And when you go ‘international’ the real work begins! I’ve worked with outsourcers both as an employee and more recently as an employer, as I’ve brought others onboard to help with my copywriting business. According to Danielle who is Brand Care Specialist at Global Response, managing different teams of vendors and collaborators spread out globally can be pretty tough, especially with the linguistic, cultural, economic, political and social barriers separating teams. 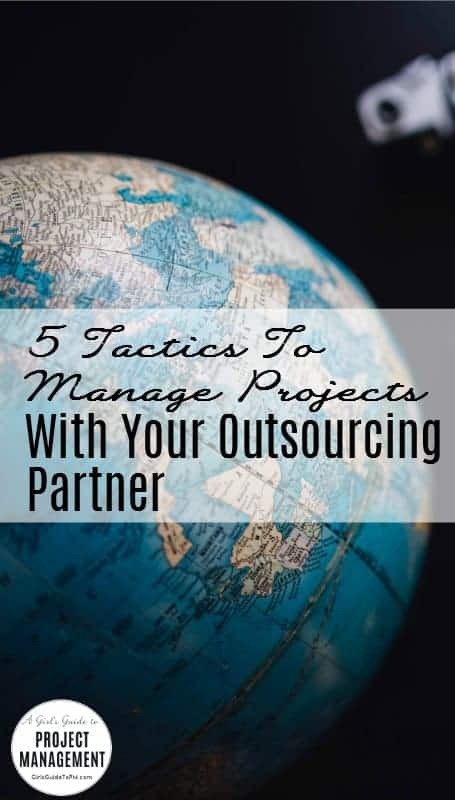 She also shared with me 5 tools and tactics that you can apply to coordinate your outsourcing teams better. With employees and customers from different nationalities working together, there is bound to be some clash of opinion. The trick is to not let the differences come in the way. Be flexible in your approach and consider the feelings and opinions of your partners before making any decision. Be open to suggestions and take local preferences into account. Communication is the key; interact with your international clients, stakeholders, and vendors to know them better. Also you’ll have to adjust to the cultural disparities and customs; remember, when in Rome, do as the Romans do! I used to think this all the time when I worked in France. Obviously about Parisians, not Romans. It goes without saying that the time zones play a major role in international dealings. Project managers, especially if you are the kind of PM who lives out of a suitcase, have to face practical challenges such as adjusting to a new language, new people, new culture and most importantly a completely different concept of time! Consider the country’s geographical location and time frame before scheduling meetings. It’ll be difficult recruiting or transferring employees to different countries (although not impossible). It takes planning: the time shift and hectic schedules can make normal tasks hard work. If working with an outsourcer means staff having to go abroad for a period of time then hire willing candidates who love travelling and have an easy going nature. Danielle’s third tip is that when a lot of people are working on the same file, the constant updates can result in a lot of confusion. I see this issue raised with collaboration tools all the time. The problem increases tenfold when you spread your enterprise on a global scale. For better coordination, ensure that there is a single authoritative version of the file to prevent overwriting or untoward changes. All the members of the team, wherever they are should access and work on the same file so they always have the latest version. You can also use template resources. As a project manager getting to grips with outsourcing you’ll have to understand the work culture of the remote teams before you begin putting together guidance about how you are going to work together. 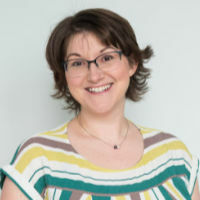 Danielle also pointed out that the remote team might find it uncomfortable to adjust to their new manager or the company they are now working with, especially if they have been attached to a different client for some time. Templates can help because they simplify the job and the process for involving the outsourcing partner in the project work. I’m sure it won’t surprise you to know that I’m a big fan of tech that helps you do the job more effectively. Outsourcing can bring many disparities to the different parts of your global team but they are all united under a common goal, whatever that might be for this project. The only difference lies in the working methods. Provide your teams with simple but dependable software solutions. This ensures quick, glitch-free performance and also gives you a common yardstick for measuring the productivity of each team, especially if it includes time recording or task management. In the absence of any enterprise solution, and assuming you had permission from IT, Google Docs is a popular choice because of its appeal and convenience. However, I’m not sure I would say it is glitch-free. Use your software in a way that actually makes you more productive. For example, your new outsourcing partner is a new vendor. Established enterprises maintain a vendor database, complete with all the transaction information and transaction amounts. Often this is (or can be) arranged as a vendor inventory list on the basis of priority; this helps you determine the payments due and forecast the assets and liabilities of the firm, focusing on your most important partnerships first. You could actually do the same with your project stakeholders! Finally, Danielle pointed out that it’s important to keep close to the dynamics of the teams, both the local ones and the outsourced ones. Effective one-on-one communication strengthens the team from the inside. The best way to ensure productivity is by keeping your employees happy. Listen to their queries and be considerate towards their grievances. There are so many different ways of staying connected! Take out time for your employees and make them comfortable in their workspace. I’d like to thank Global Response for sponsoring this article.